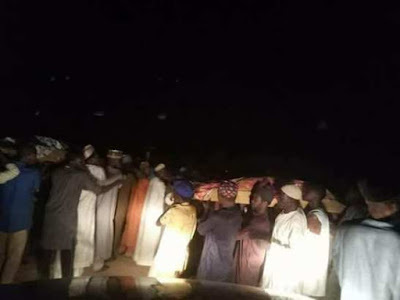 The 22 students and their teacher died in an accident on their way to Kano while on excurion. 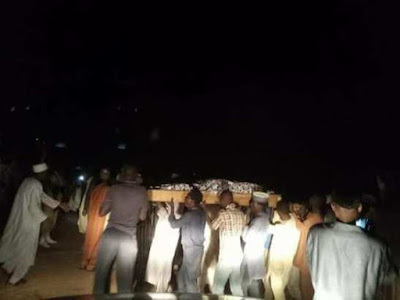 The bodies of the 22 students and their teacher who died in an accident, on their way to Kano for excursion have been buried, according to Islamic rights. 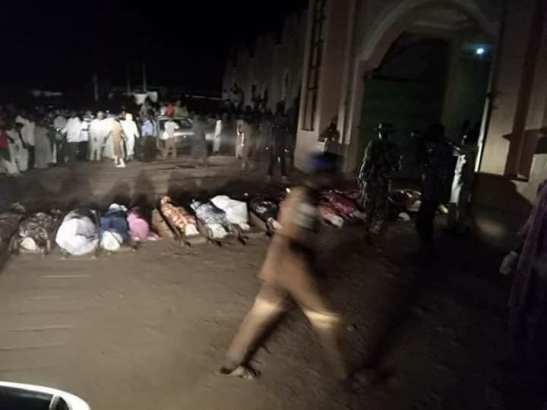 The funeral prayers took place yesterday at emir’s palace, Misau Emirate Council. At least 22 secondary school students died on Tuesday in the road accident which happened in Gaya local government area of Kano state. The accident, was said to have occurred at about 11:00 a.m, and it involved a truck and the bus conveying the students from Misau local government, Bauchi. The witness, Maiunguwa said the accident occurred close to Maitama Sule College by Dudduru. 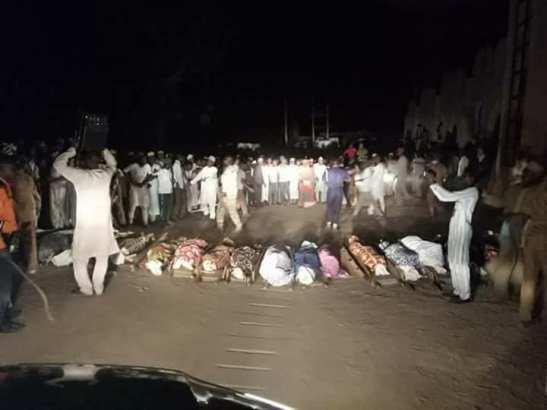 In his reaction to the terrible incident, the Bauchi State Governor, Governor Mohammed A. Abubakar released a statement on the accident in which he commiserated with the families of the victims and prayed to God to grant them Jannatul Firdaus. Today is a tragic one as we lost about 23 of our best young minds, students and teachers of Command Junior Secondary school, Misau who were returning from an excursion journey from Kano state. May Allah Almighty grant them Jannatul Firdaus and comfort their families. It is not good for a society to bury its young, worse still, when they go in search of knowledge. I offer my condolences to all affected and the people of Bauchi State. 0 Response to "See The 22 students who died in Kano during excursion About to lay to Rest"